May is the month of re-birth, change and transitions. Spring is well and truly here and Summer is just around the corner. The dates of note I’ve chosen this month reflect these themes and build on the idea of re-newing and great things beginning. May is a month of great optimism and you can talk about this while engaging your visitors in continuing traditions and living modern life alongside that. By focussing on Spring and the coming of Summer, as well as reminding visitors of traditional dates, you are covering a broad spectrum but still keeping to your theme and core issues. This means you can appeal to more people while still getting your points across. Keep engaging visitors and doing all you can to attract new readers. May offers you the perfect time to reach more people. As always feel free to copy the text to encourage your readers or better still change it to fit with your church and website! Pentecost is one of the many days in the Christian calendar that isn’t always observed and celebrated today, but you can highlight why it’s still important to remember. Give a run-down of what Pentecost is, followed by a little about Whit Monday, and why these two days are significant. This time of year is all about change and births, with Spring established and summer on the way, and you can relate that theme to Pentecost quite easily. Widely thought of as the birth of the Christian Church, Pentecost is a celebration of the most important change of events. You can suggest why this is relevant and why we still need to remember the importance of this. Reinforce the theme of optimism that exists in Spring and how this runs parallel to Pentecost as a new and optimistic time for mankind. As always, visitor interaction is important for the ongoing appeal of your website. This month I’m suggesting a different approach for gaining and keeping visitor interest. May is the month when the season well and truly changes, Spring is a reality and Summer can be felt over the horizon. To illustrate this month of change and great happenings, you can tell your visitors your website will reflect this with its own month of happenings. May can be the month that you post something, perhaps once a week, perhaps more, to show what is going on in your community and how your visitors can get involved. Encourage your visitors to join in, both in real life and online, by sharing their own community based events and happenings. This will keep your visitors interested and give them something different to get involved in. It will also give them an exciting reason to keep checking back with your website throughout the month. The May Day bank holiday is probably the most enjoyed bank holiday of the year. The weather is hopefully pretty fine and everyone is looking forward to summer. It’s most likely the first bank holiday of the year when everyone feels the season has really changed and warmer days are on their way. 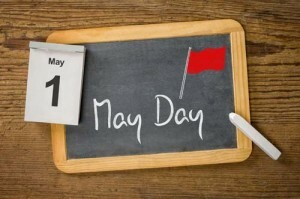 You can write a blog post that uses this idea to talk about ways in which people celebrate May Day, both traditionally and in more modern ways, and what this holiday means to us all. Tie into that the relevance of change in our lives and the changing of one season to another, and how this can have a broader meaning. By talking about change, you can talk also about how some things are constant no matter what else is happening in our lives ie God is always there for us. These are issues and points that everyone can relate to and run parallel to the themes brought about in the month of May. By introducing these ideas you are including potential visitors who might not otherwise be reading your blog.